If you’ve been considering LASIK as an option for correcting your vision, your next step is to schedule a consultation with a laser center to learn more about the process and whether you are a candidate for the procedure. Such a consultation is a valuable opportunity to learn not just about the LASIK procedure itself but about the specific center or Ophthalmologist you’re considering. Any decision-making process should include discussing with your doctor the benefits and potential risks that could result from correcting your vision with LASIK. The American Academy of Ophthalmology suggests a number of questions to ask during a consultation visit. 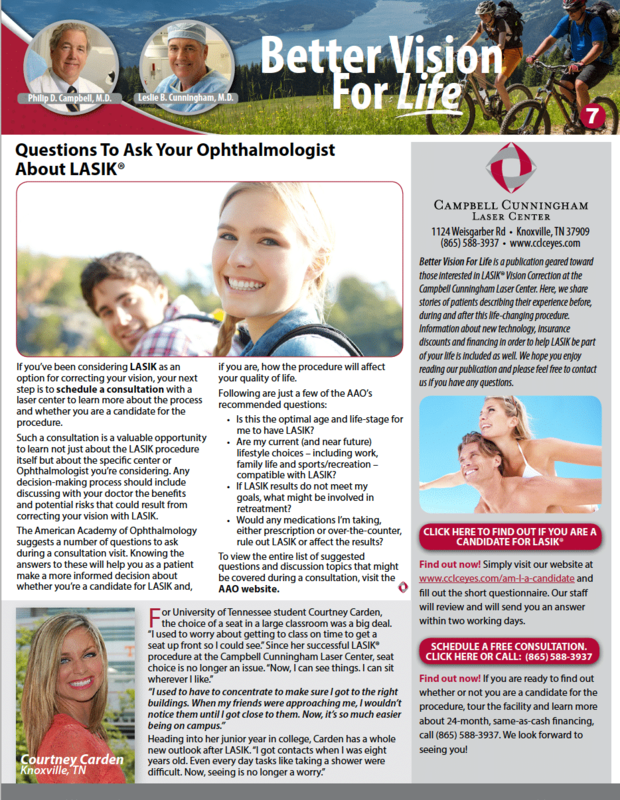 Knowing the answers to these will help you as a patient make a more informed decision about whether you’re a candidate for LASIK and, if you are, how the procedure will affect your quality of life. Is this the optimal age and life-stage for me to have LASIK? Are my current (and near future) lifestyle choices – including work, family life and sports/recreation – compatible with LASIK? If LASIK results do not meet my goals, what might be involved in re-treatment? Would any medications I’m taking, either prescription or over-the-counter, rule out LASIK or affect the results? To view the entire list of suggested questions and discussion topics that might be covered during a consultation, visit the AAO website. 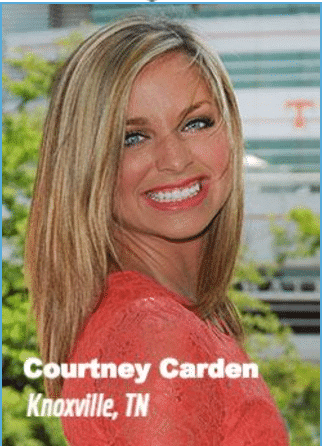 A public relations major, Carden’s college was compromised by her poor vision. Now, she sees the college world in a whole new way.